The Inland Waterways Association, dedicated to saving Britain’s canals, was founded in 1946 and, as is well-known, among its luminaries were two ghost story writers, Robert Aickman and L T C Rolt. What is less well-known is that two other literary figures had earlier written about the sad state of the country’s canals and rivers, and published books describing the pleasures (and frustrations) of using them, and encouraging others to do so. Their quiet campaign began with an essay on ‘English Waterways’ in the December 1930 issue of the literary journal The London Mercury. This was edited by one of the duo, the poet and man-of-letters J.C. Squire, and the piece was written by his friend and fellow riparian William Bliss, who also wrote reviews for the journal, eg of the poetry of the Georgian poets John Freeman and Edmund Blunden. His article gives an evocative description of the loneliness and decay of the canals, over a decade before Aickman and Rolt began to campaign on this issue. Bliss’ book is lyrical and elegiac, sometimes reminding me of the charged, mystical prose of Arthur Machen. He does not shirk describing the inconveniences of his journeys, and occasionally remembers to give practical advice, such as which course to take through rapids or round sweeping bends, but mostly this is not a ‘how to’ sort of book. Rather it is a reverie upon a rare and little-known world, remote from diurnal concerns, lonely, largely undisturbed, with its own singular charm. It is hard to avoid the impression that Bliss actually quite likes it this way. 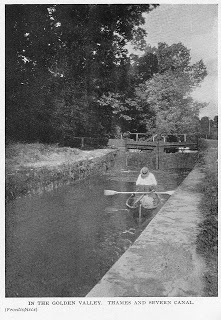 L T C Rolt once wrote that he had not realised the effect the waterways campaign would have in changing the character of the lost canals he loved, and there is a distinctly wistful suggestion that he later somewhat regretted drawing attention to them. And there may have been a similar ambivalence with Bliss, I suspect. But he seems to have been a man of robust good sense, and his books are not at all rarefied. There is also just a touch, eg when he and his occasional companions get into difficulties, of the bantering tone of Jerome K Jerome's Three Men in a Boat. Bliss followed this pioneering book with two others of a similar nature. Though his guides increasingly contain practical information, such as about distances, locks, bridges, and mooring places, they remain at heart lovingly-written literary work, and the more beguiling because of this. Canoeing: the art and practice of canoeing on English rivers, navigations and canals: with a description and tables of distances of the canoeable water-ways of England and Wales, etc (Methuen, 1934) has practical opening chapters about selecting a canoe and camping equipment and so on, but the second part is more like the evocative reflections in his earlier book. It had an introduction by the humorist and independent M.P., A P Herbert. This was followed by Rapid Rivers (Witherby, 1935). Bliss also published the autobiographical reminiscences Pilgrimage of Grace (Witherby, 1937), and a study, The Real Shakespeare: A Counterblast to Commentators (Sidgwick and Jackson, 1947). J C Squire gave his own account of some of their adventures in Water Music, with its punning sub-title, or a Fortnight of Bliss (Heinemann, 1939) and also in episodes in some of his other books. His own book is full of diversions and digressions and backwaters, but there is no mistaking his affection for Bliss and his relish for the life on the river. What comes across both in Squires’ anecdotes and, as it were, between the lines of Bliss’ books, is what an amiable individual he was, out for adventure, uncomplaining of discomfort, and also alert to those moments of mystical rapture that arise in the secret shimmering silver and green worlds he traverses. William Bliss’ role as a pioneer of waterways journeys has only recently been recognised by a few canal enthusiasts, as for example at the Narrow Boat Albert blog, which also reports that some present day boaters have devised a William Bliss Canoe Trail, following some of the routes he described. His books are therefore now rather hard to find. But he ought also to be sought after by lovers of fine literature, the same sort of reader who enjoys not only Aickman and Rolt, but also the work of Machen, Edward Thomas, George Borrow, and the other great wanderers in the wild places. Image: frontispiece of The Heart of England by Waterway, showing its author afloat (from the Narrow Boat Albert blog). 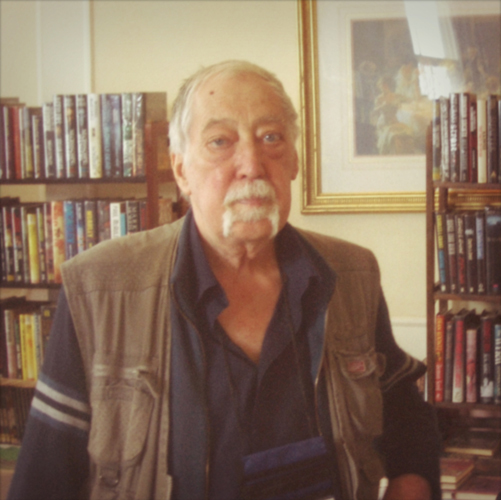 I am very sorry to hear that the legendary bookseller George Locke has died. In my memory he will always be one of those characters I can’t quite believe I ever met, or had dealings with. He always seemed like a character from Dickens, although I would be hard pressed to say which one. When I first encountered him in a cellar room in a bookshop in Cecil Court he was dozing in a chair with his stock piled up about him—books appeared to have drifted around his periphery in that way they do in some bookshops, blurring the edges of a room, even hiding smaller items of furniture, or customers. I had to wake him up to ask the price of a jacketed copy of Beresford Egan’s But the Sinners Triumph. ‘Sixty-five pounds’ he declared, but I had nothing like that much money to spend, especially as I didn’t know whether I would enjoy the book or not. I loved Egan’s drawings in The Sink of Solitude and Policeman of the Lord, but by the time of his first novel, Pollen, the deft, cruel line of Egan’s artwork had deteriorated, and the illustrations in But the Sinners Triumph looked even less convincing. I quickly realised that Mr Locke was a mine of information on supernatural, strange and weird literature. He talked very knowledgably about William Hope Hodgson, M.R. James and H.P. Lovecraft. I proudly admitted that the large parcel I was carrying contained five copies of the newly published Tartarus Press first edition of Ritual and Other Stories by Arthur Machen. I was hoping to drop them off at Mr Smail’s Legal Deposit Office on Euston Street (to save the postage, which was considerable). George then proposed I exchange those five copies of Ritual (which, as editor and publisher, I would sign) for the book by Egan. For some reason I found myself agreeing, even though he explained that I would have to give him a generous discount because he was in the trade. Additionally, he was buying in bulk, and on top of this, he was saving me the postage of sending him the books. I, however, was not entitled to any discount because I admitted that I was buying the Egan for my own collection. When I later paid to have another five copies of Ritual bound up and posted to Mr Smail I realised just how out of pocket I had been in my deal with George. To add insult to injury, he was selling my copies of Ritual at more than the retail price because (as he explained in his Ferret Fantasy catalogue), it was rare to find copies signed by the editor/publisher! Somehow George managed to get the better of me on a number of subsequent occasions, such as when I acquired his wonderful Spectrum of Fantasy volumes by trading Tartarus Press books of a much higher retail value. (To be fair, his reference books are still a delight, and I have completely forgotten what books he had in exchange.) I always grumbled, but usually admired the way he would end up with the better part of any deal. Of course, I should have known better than to agree to co-publish The House of the Hidden Light with him. However, it was politic not to mention my copy of the text to George, and to acquire Bob’s work and the Waite rights, we would have to co-publish. And so, after a convivial lunchtime meeting in The Plough on Museum Street, it was agreed that I would produce the book and add George’s Ferret Fantasy imprint to my own. George did discover that I had a photocopy of the text, but it proved to be no problem, and I ended up transcribing it myself, designing the book, and overseeing production. 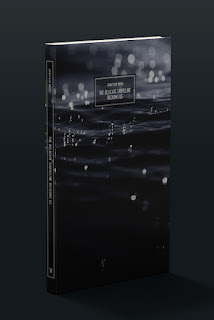 I was pleased with the book ‘we’ published—what should have been the first edition of The House of the Hidden Light. 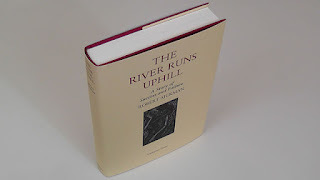 However, a few days before publication, while our edition was still at the bindery, George announced the publication of his own very limited edition variant of the text. Not only had I been beaten to issuing the first edition, but Ferret Fantasy’s version was a stapled booklet badly photocopied on dark brown paper that even George admitted in his catalogue was unreadable! It was also more expensive than our own properly printed and bound edition. It wasn’t long after this that George phoned me and, rather than announce who was calling, opened the conversation with the question, ‘Do you suffer from mould?’ He admitted that some of the books stored in the shed in his garden had been damaged by damp, and I recommended buying a dehumidifier. I asked if any important books had been made unsaleable, bur he said no, fortunately—only a few boxes of his own publications. 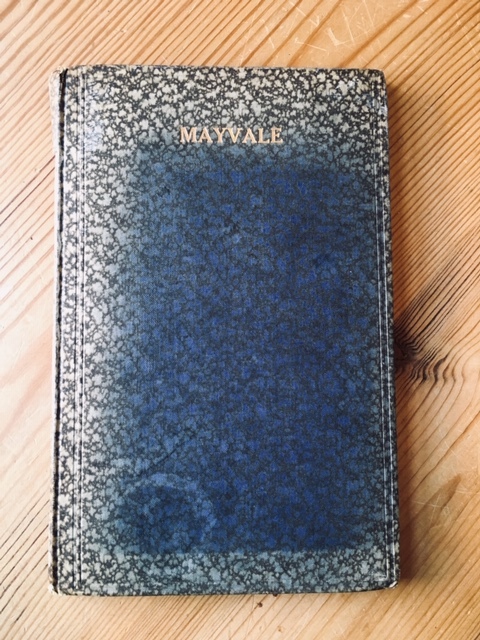 We had various dealings over the years, and I eventually ended up with George’s manuscript and typescript of Arthur Machen’s The Green Round. He never did get around to selling me A.E. Waite’s own copy of The Great God Pan, but I recently acquired it from another source. George could be awkward, difficult and drove a very hard bargain, but my grudging respect for him turned into something close to admiration when a very unpleasant character in the book world attempted to blackmail me. This person threatened that unless I made public certain comments I knew to be untrue, he would send George Locke a private email from me that was very rude about George. I phoned George and told him everything. Of course, he wanted to know what I had written about him. I had been so indiscreet as to suggest that George put vast amounts of research into third-rate authors and then published the results in badly produced booklets for which customers were charged unreasonably high prices. George laughed heartily, and agreed that my description was entirely accurate. Photograph: George Locke at the World Horror Convention, Brighton, March 2010 (R B Russell). I have been a keen reader and admirer of the writings of Jonathan Wood for over thirty years. At first these appeared only in fleeting journals, booklets and obscure ephemera, samizdats of the spirit which insinuated themselves through the letterbox on unsuspected days, and were always a joy to receive. 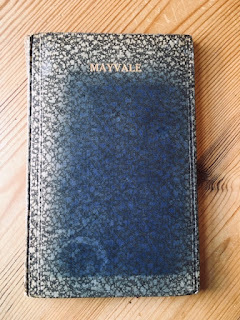 Imbued with the character of Machen, Blackwood and other mages of the arcane, each text was incantatory, visionary, elliptical, celebrating either the mysteries of London or the lost arcadia of the countryside. Always though there was also a remarkable original imagination in play, the sort that could redraw part of the London Underground map as the Kabbalistic Tree of Life. Change here for Malkuth. More recently, his work has begun to appear in limited edition volumes, still often rare and elusive. I was therefore pleased and honoured to be asked to write an introduction to the latest of these, which has just been announced by Zagava. The book is available in editions to suit both keen readers and collectors of fine editions, in paperback, numbered hardback and de luxe lettered editions. So you can read it on the tube, keeping a wary eye on the stations, or peruse it in your private library, wearing white gloves. It doesn't matter: whichever you choose, the words will get you. The Friends of Count Magnus, organisers of last year's much-praised 'Through A Glass Darkly' M.R. James conference in York, have regretfully announced the postponement of their follow-up event, 'Episodes of Cathedral History' (MRJ2), which had been provisionally set for 24th-26th September 2019. 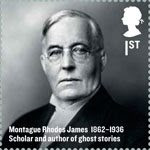 The hope is to re-schedule this second conference for Autumn 2020 and updates will be posted here on Wormwoodiana (and in Ghosts & Scholars), as well as on The Friends' official website. 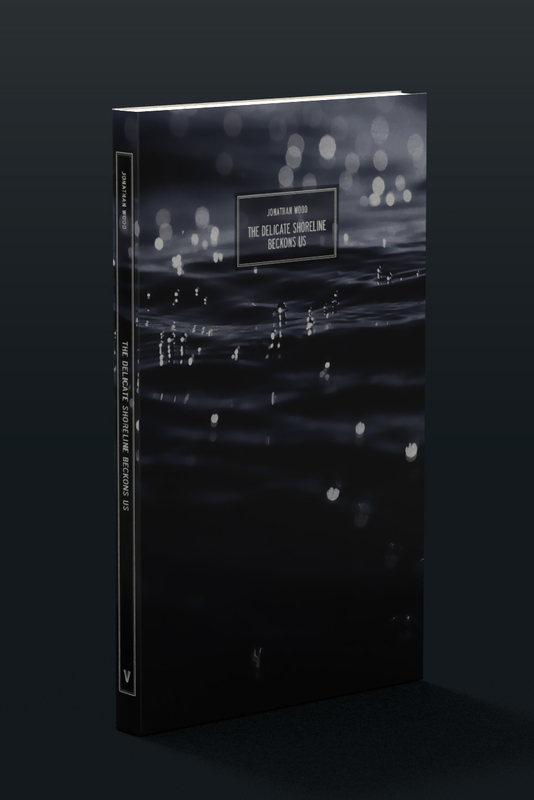 However, the good news is that The Friends still intend to publish a book of essays drawing on the 'Through A Glass Darkly' inaugural conference, and this should be available later this year. In Chapters Sixteen and Seventeen of The River Runs Uphill (1986) , his account of the campaign to save Britain’s canals, Robert Aickman explains how the Inland Waterways Association planned a festival of boats to draw attention to their cause and celebrate this form of boating. This took place in 1950 at Market Harborough, Leicestershire and this charming 16mm film records the event. Aickman was Chairman of the Market Harborough Committee and it was the occasion of (though not the only reason for) the rift with his fellow ghost story writer and canals campaigner Tom Rolt, caused in part by differing views about the programme. The crowds on this film certainly seem to be enjoying themselves. I am not sure that the great man himself can be glimpsed (can he?) but it may be worth a careful look. In any case, this rare film gives a good idea of aspects of the festival.